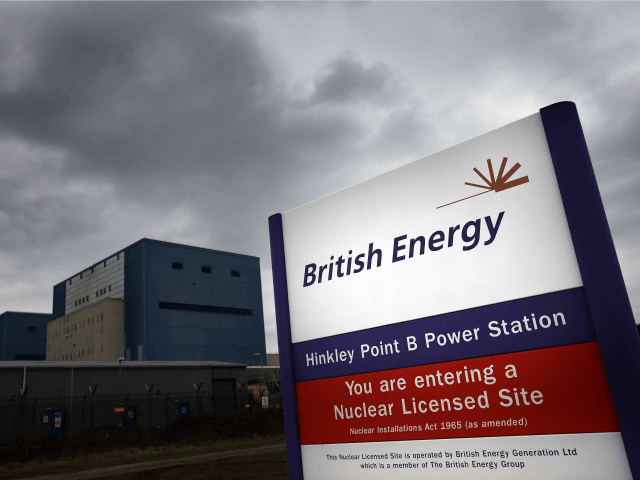 British Prime Minister Theresa May has slammed the brakes on Britain’s £18 billion Hinkley Point C nuclear power station. Good. The whole misbegotten enterprise is a looming disaster waiting to happen. The current going rate for electricity is £33 per megawatt hour. But the brilliant deal Davey somehow managed to extract from a naturally very reluctant EDF was to persuade them to accept a modest £92.50 per megawatt hour, inflation adjusted. For those, like Davey, unable to do the maths, that is approximately three times the market rate – over a period of 35 years, paid for of course by the taxpayer. “I negotiated a very good deal,” declared Sir Ed on the BBC Radio 4 Today programme. That £18 billion figure, of course, is just the government’s official estimate. The real cost is going to be considerably higher. Even a year ago, Christopher Booker estimated the cost at closer to £24 billion. For that same £24billion, an estimate that could well rise much further in the future, we could get 20 new gas-fired power stations. These would be capable of generating 40,000 megawatts, or more than 12 times as much electricity as the new Hinkley, at little more than half the price charged to us consumers, and without a penny being paid to the French in subsidy. Paul Homewood calculates that the project may end up costing Britain a total of £84 billion at current prices – half of which will comprise pure subsidy. But it’s not just the costs that are the problem. First, as Booker notes, the technology is riddled with design problems and may take years to come online, by which time it will certainly have been superseded by better, cheaper, more efficient alternatives. Even more alarming is the fact that the particular type of nuclear reactor EDF wants us to buy, known as the European Pressurised Reactor, has already become highly controversial and has been riddled with design problems. The evidence for saying this is to be found in the two European Pressurised Reactors EDF is already involved in building in Normandy and Finland. Both have encountered such serious design and construction problems that they are running years over schedule and billions of euros over budget. Energy analysts say we would have been better off going for an Advanced Pressure Reactor, the APR1400, of the type South Korean engineers have been successfully building in the United Arab Emirates — on time, on budget and at half the cost of Hinkley Point. In other words, Britain, which once led the world in nuclear reactor technology, is buying one of the craziest, most expensive white elephants imaginable: a power station which, if it does eventually perform as required, will not be ready for at least another eight years to produce a comparatively small amount of the most costly nuclear electricity in the world. It is little wonder that the project has been coming under withering criticism. Then, of course, there’s the security issue of having a project supposed to generate 7 per cent of Britain’s energy being co-financed by the Chinese. “During Xi’s visit to London, the two governments will sign deals giving Chinese state-owned companies stakes in the British nuclear power stations planned for Hinkley Point in Somerset and Sizewell in Suffolk. It is believed that the deals could lead to the Chinese designing and constructing a third nuclear reactor at Bradwell in Essex. Security experts – reportedly inside as well as outside government – are worried that the Chinese could use their role to build weaknesses into computer systems which will allow them to shut down Britain’s energy production at will. Nick Timothy is the grammar school educated, Joseph-Chamberlain-admiring Brummie now acting as the Prime Minister’s most senior advisor.